Recorded interviews to bring you Hope for your Journey; Healing for your Grief, and Help for your Journey. Listen to informative interviews about dealing with life's losses. You'll gain strength and hope. Hosted by Ron Harder. 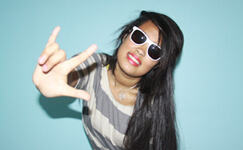 Get acquainted with our interview guests, their interesting journies, and how they were able to deal with their loss. 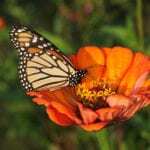 Book suggestions and articles by many authors on a large variety of losses to help you find healing for your grief. Our beautiful chapel is available for funeral and memorial services. Our chapel is the perfect location to come together with family and friends to remember and celebrate the life of your loved one. 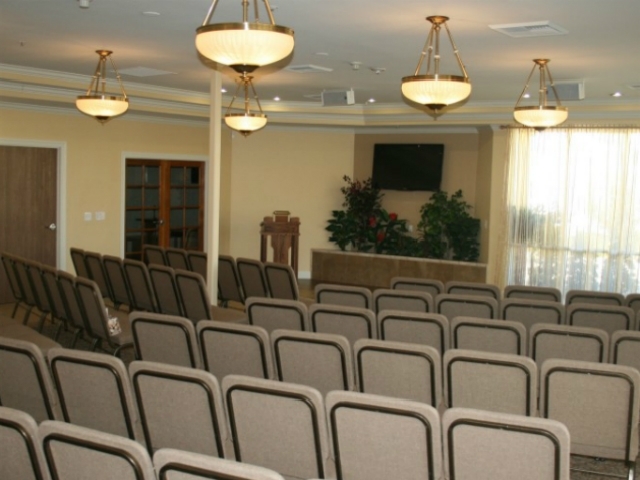 Our Chapel can be prepared with banquet style seating. Our catering staff is available to provide a casual buffet meal. Up to 80 guests can be comfortably accommodated with our banquet style setup. Paying respects and saying goodbye to your loved one in a comforting environment brings peace and closure. Viewings provide a quiet time for farewells with immediate family and close friends. 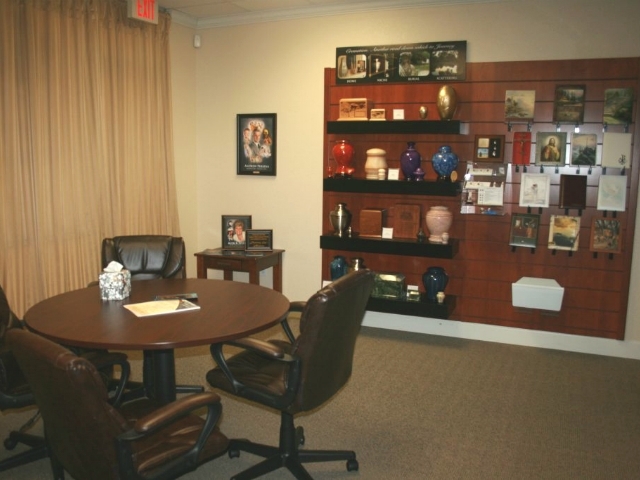 A quiet place to make decisions about your loved one's final arrangements with the help of our caring Funeral Directors. We'll provide the information you need to make preparations for your loved one's final farewell. If your loved one was a Veteran, we'll make arrangements with the National Cemetery at no charge to you. Original paintings by local artists add an elegant sense of peace to our ambience. Our art gallery provides a venue for local artists to display their paintings. 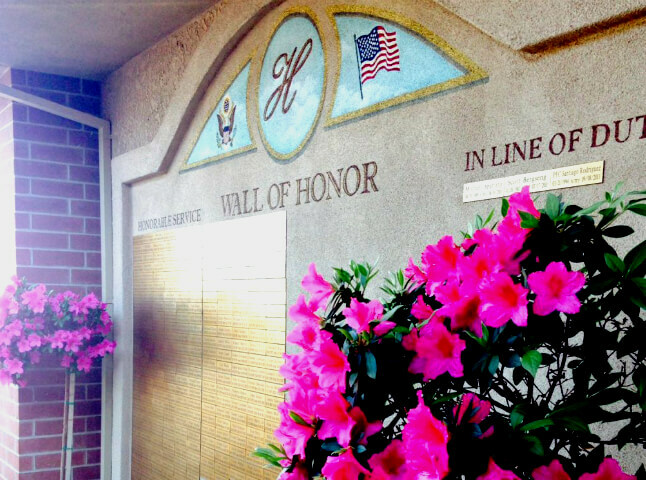 A plaque for each Veteran we are honored to care for is placed on this wall in their memory. Our biggest event of the year is in honor of Veterans who served our country. Our business is owned and operated by Veterans. 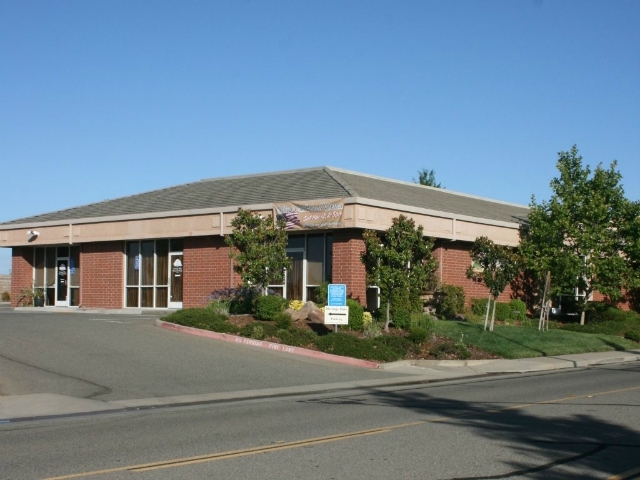 You'll find us at 6920 Destiny Drive in Rocklin just before the church and across from Harbor Freight Tools. Call us at 916.791.2273. Enter the driveway by the flagpole. Our business entrance is in the back of the building right next to our Veteran's Wall of Honor. I have attended two of their Preparing Is Caring seminars and was very impressed by Ron’s honesty, knowledge of what we would experience, and helpfulness. Everyone was helpful and didn’t make us feel rushed. Your caring staff didn’t make me feel like it was “just another day at work” for them. The difficult experience of losing my father turned out very lovely. Thank you for taking the time I needed to answer my questions. I appreciated your kindness and understanding hearts. Everyone was very professional and caring. Thanks for your personal communication. It seemed as if we were talking to an old friend. We received some of the best customer service ever. Jim was always professional, prompt, caring, helpful, courteous and attentive. He took a huge load off our shoulders. Heritage Oaks Memorial Chapel is absolutely beautiful! 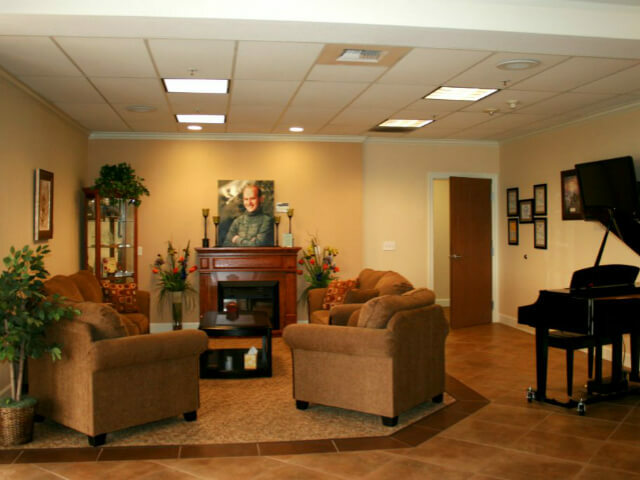 Their facilities can accommodate your every need. There was no pressure to purchase more than we had already planned or could afford. Our wishes were met kindly and professionally. Losing a loved one is hard. The staff at Heritage Oaks made everything so much easier. Everything involving the service was as we requested. They did an outstanding job for us. At my husband's service, Ron did an excellent job with the eulogy. He made my husband seem real, using antidotes that made it very personal. Everything went very smoothly. Jim and Ron made a very difficult time easier for all of our family. Their compassion and patience were comforting. 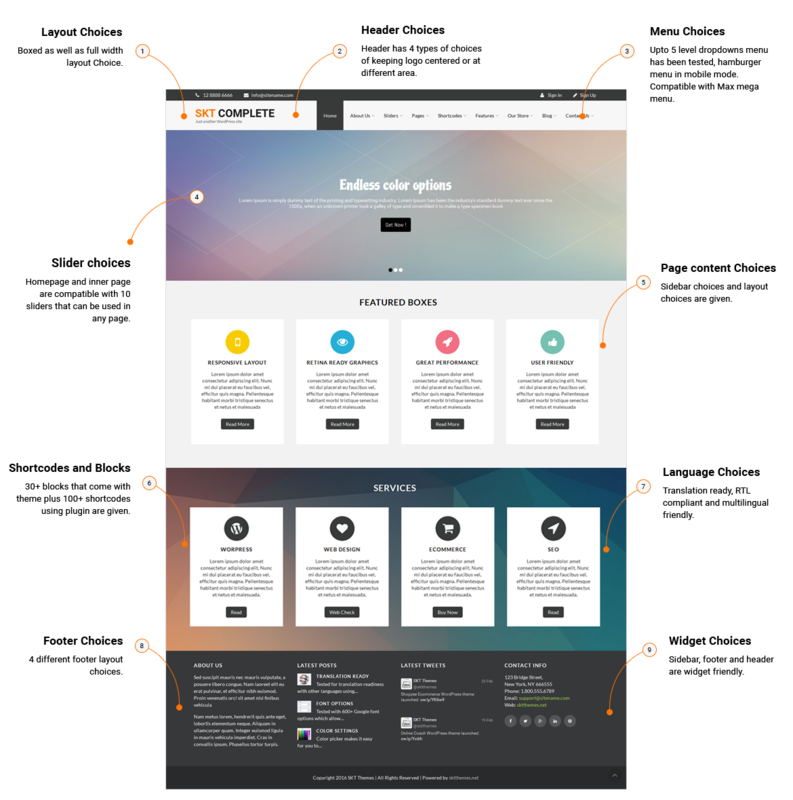 You explained every step, made recommendations and were totally there for us. We are so satisfied that we are now arranging for mom’s preplanning with them. Your staff was very professional and we were never rushed to make a decision. They were very attentive and made that difficult time much easier. They are truly kind and caring people. 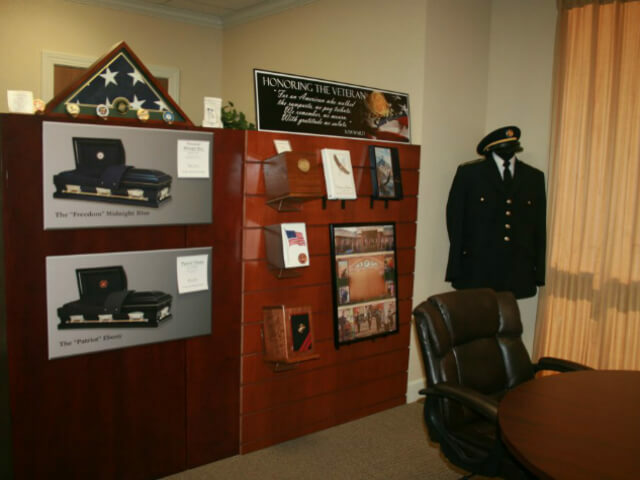 They explained the veteran’s burial and cremation options. We liked that they are a veteran owned business and my sister’s name will be placed on their Veteran’s Wall of Honor. Heritage Oaks makes difficult times easier to cope with. I loved working with you and the fact that there was never any high pressure sales. They helped us with things we would never have thought about. I’ll gladly recommend you to others facing the death of a loved one. 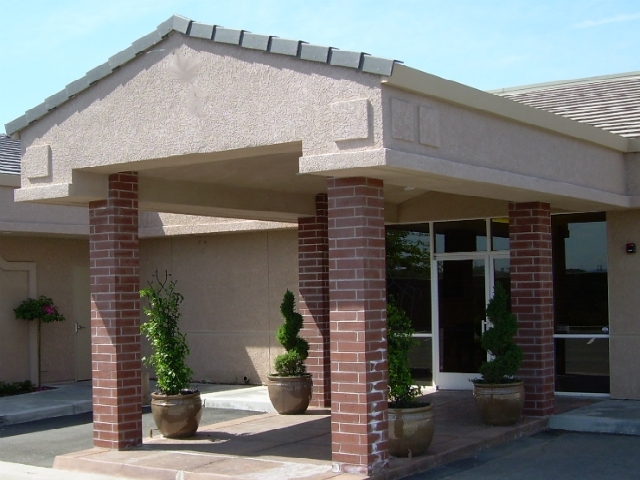 A family owned funeral home in Rocklin, California (the only full service funeral home in Rocklin), serving Placer and surrounding Counties and the Greater Sacramento Area. We are ready to serve you 24 hours a day when you need us. 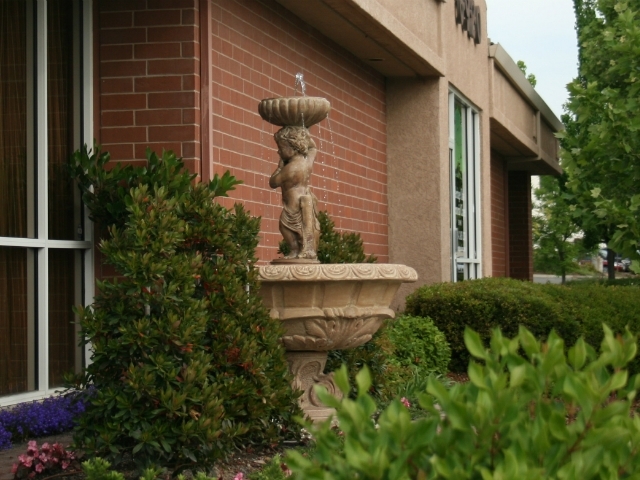 To schedule an arrangement appointment during our regular business hours, please call 916.791.2273. We can be reached 24 hours a day when you need us. 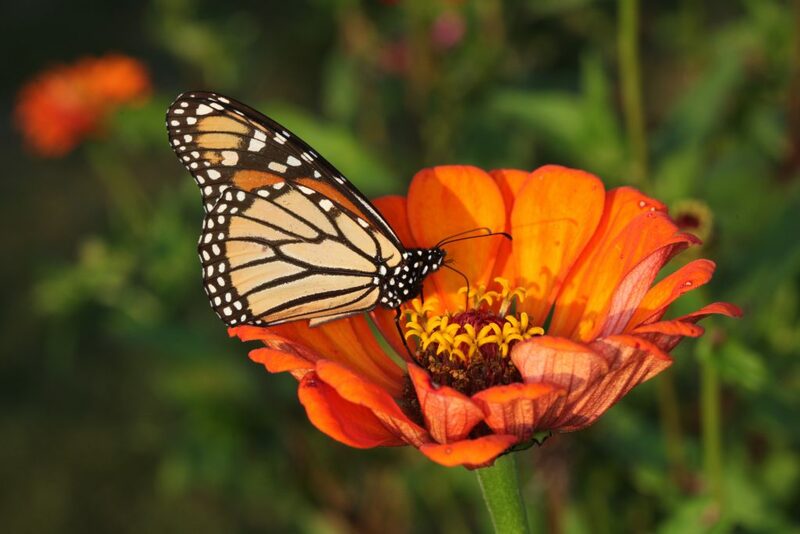 Our services include an Eternal Tribute webpage where your loved one's story can be shared. A slide show of your favorite photos, music, and endless space for memories and photo albums can be uploaded to your loved one's very own webpage. No additional fees are required to keep your Eternal Tribute visible to visitors and it will never expire.